This one day workshop is a great opportunity to dip a toe into the world of making your own clothes. Suitable for complete beginners or the more experienced. 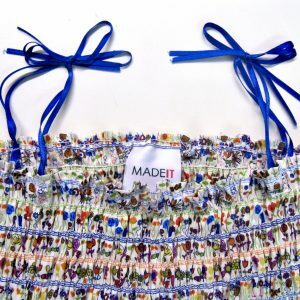 In this class you will make a cotton sundress or top with gathered neckline and skinny straps. Cost: £60 plus the cost of your fabric. (You can either choose from our selection or buy your own in advance).